Joel Richardson (widely known as “Glenn Beck’s End-Times Prophet“) has a new book coming out in the autumn: Mideast Beast: The Scriptural Case For an Islamic Antichrist. 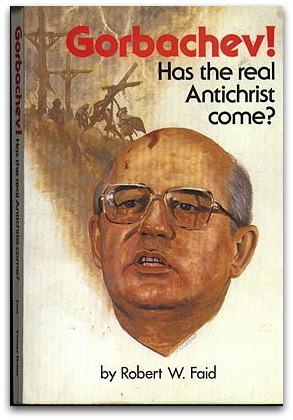 One might have thought that the well would be dry by now, but the author of The Islamic Antichrist: The Shocking Truth about the Real Nature of the Beast (previously published in 2006 as Antichrist: Islam’s Awaited Messiah) has apparently managed to milk the subject further. As before, the prophetic tome will be published by Joseph Farah’s WND Books, and Richardson’s website lists a number of endorsements: Chuck Missler of Koinonia House, who praises Richardson’s “sharp sword of diligent scholarship”; Walter C. Kaiser of Gordon-Conwell Theological Seminary, who tells us there is “much to commend this argument for a final Islamic Empire”; Daniel Juster, Founding President of Union of Messianic Jewish Congregations and Director of Tikkun International, who advises that “prophecy teachers would do well to ask if he his not giving us a new way to look at the prophecies of the last days”; Joshua Lingel, adjunct professor of Christian apologetics to Islam at Biola University, who judges that “Joel Richardson’s thesis cuts to the core of the issues at stake”; and, among others, Billy Humphrey, of the House of Prayer Atlanta Missions Base, who sees “a compelling argument for the Islamic Antichrist position”. 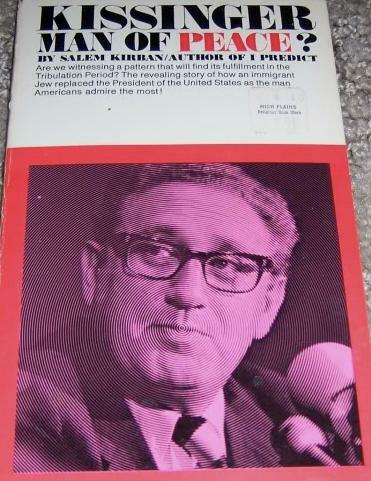 Missler is a veteran in the Bible “prophecy teacher” circuit, and he regularly takes part in events with WND‘s Jospeh Farah; Kaiser, by contrast, is an evangelical with a more scholarly reputation, and he has published in mainstream academic journals. Juster is a significant figure within Messianic Judaism; Lingel was featured on this blog recently when I discussed evangelical worries about “Chrislam”. The “House of Prayer Atlanta Missions Base” has a website here. 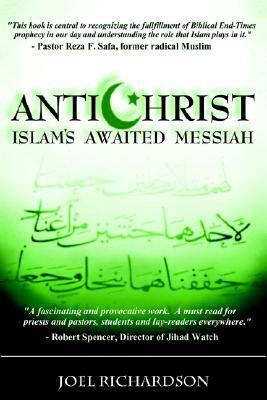 Richardson’s previous “Muslim Antichrist” books also come with blurbs; these are mostly by pastors and the owners of apocalyptic websites, along Phil Roberts, the then-president of Midwestern Baptist Theological Seminary (“this volume will immerse you in end times, Islamic style”). Both previous books were also graced with cover quotes from Robert Spencer. A number of endorsements are also listed on Richardson’s website, and include Walid Shoebat (blogged here) and Ergun Caner (blogged here). The First Signpost would certainly include the ending of the career of the rider on the white horse. That happened early on in America’s occupation of Iraq. 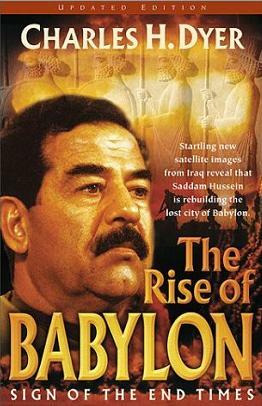 Entering Iraq in March 2003 and toppling Saddam in April 2003, American forces finally captured him in December 2003. Any end of the First Signpost would also include a withdrawal of the force used in Daniel 7 that made the lion stand on its hind legs and replaced its heart. Iraq, the former lion with wings, is now standing erect somewhat like a man, and indeed has a heart of a man, rather than that of a beast. That unnamed source of the force in Daniel 7 was the United States and its international coalition. It should be noted, though, that not all Christian Right prophecy pundits are enthusiasts of the “Islamic Antichrist” theory – Hal Lindsey, who made his name by offering up a European Anti-Christ for 1970s evangelicals, reportedly complains that Richardson’s position is a “lie”. I suspect that 20 years from now Richardson will be pronouncing similar anathemas against prophecy books proving the existence of a Chinese Anti-Christ.